Beatles and Lennon fans from all over the world will come to Liverpool’s Beatles Story attraction on 8th December to pay their respects to John Lennon at the city’s annual Peace Vigil. 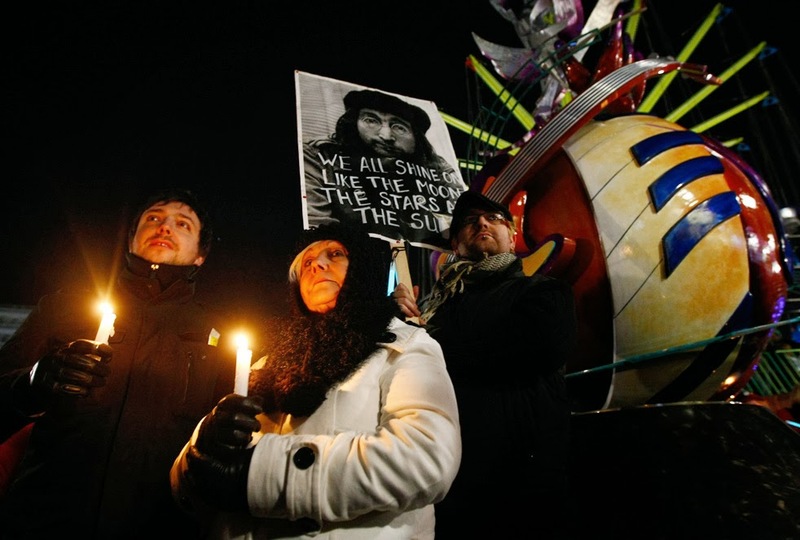 Now into its fourth year, The John Lennon Peace Vigil is a free public event that attracts crowds from all over the world with one goal – to respectfully remember an icon on the anniversary of his untimely death on 8th December 1980. Organised by the award winning Beatles Story, this year’s event promises to be bigger and better than ever with onstage tributes, poems and songs being dedicated to John. Leading the tributes will be upcoming Liverpool band MiC LOWRY who will perform a special set dedicated to the Beatle. The young band were first brought to the attention of the Beatles Story after Yoko Ono chose them to perform for her when she visited Liverpool earlier this year. Throughout the evening Beatles Story will open up parts of their exhibition relating to John including the iconic ‘White Room’, a recreation of the room from John’s 1971 ‘Imagine’ music video and John’s ‘solo booth’, which homes a pair of his iconic round glasses. A dedicated area for fans to leave their messages of respect to John will also be available. The evening will draw to a close with a candlelit walk to the European Peace Monument where fans can pay their respects to John. Unveiled by Julian and Cynthia Lennon on what would have been John Lennon's 70th birthday, the European Peace Monument has become a fitting tribute to John’s enduring message of peace. Located opposite the Echo Arena, the monument is the perfect place to consider memories of John and the possibility of world peace. Located within Liverpool's historic Albert Dock, the Beatles Story is a unique visitor attraction that transports you on an exciting and atmospheric journey into the life, times, culture and music of The Beatles. See how four young lads from Liverpool were propelled to the dizzy heights of worldwide fame and fortune to become the greatest band of all time. You’ll hear the story unfold through the ‘Living History’ audio guide narrated by John Lennon's sister, Julia and view some amazing and rare Beatles artefacts and recreations of famous scenes from The Beatles’ journey as a band along the way. 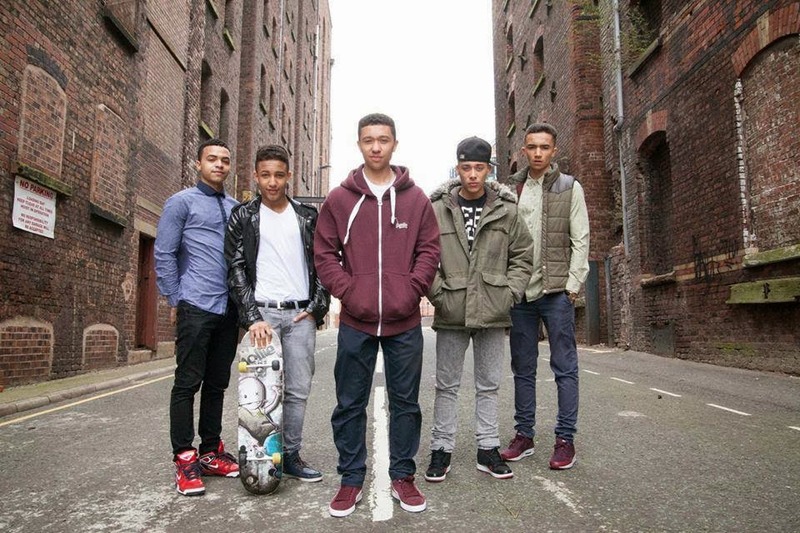 MiC LOWRY is a five-piece male vocal harmony group aged between 17-18 - formed mid 2011 by local performing arts training and management company Positive Impact. After several appearances on the Liverpool scene and covers and demos online, Mic LOWRY are starting to amass a strong online and live following and have begun to get recognised for their raw talent. They were runners up in MTV's Brand New Unsigned competition of 'One to Watch' in 2013, and Winners of the National Under 19 Rock the House Competition in 2013.
Pepper Rewind promises to be a night to remember! The Beatles "Words of Love" - New Animated Video! THE TREMBLING WILBURYS XMAS XTRAVAGANZA! The Epstein Theatre Presents The Mersey Beatles!